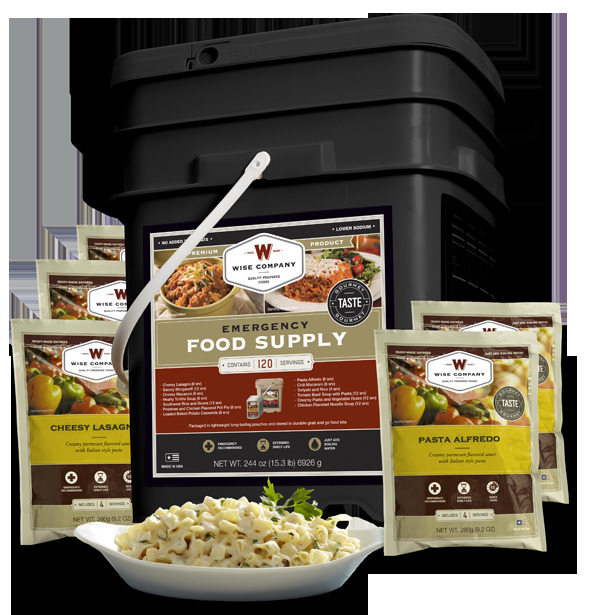 Wise Company Grab and Go Food Kits are perfect for any unplanned emergency. Our ready-made meals are packed in airtight, nitrogen-packed 4 serving mylar pouches, and then encased in easy to carry, durable plastic containers. Our unique packaging process removes the majority of the residual oxygen through a nitrogen flushing practice. Wise Company Grab and Go Food Kits carry up to shelf life of 25 years, with absolutely no rotation needed.